Home | Digestion & Superfoods | Digestion | Pineapple Bromelain 500 mg. Directions: For adults, take one (1) caplet three to four times daily, with meals. Other Ingredients: Dextrose, Vegetable Cellulose, Dicalcium Phosphate. Contains <2% of: Vegetable Magnesium Stearate, Vegetable Stearic Acid. Pineapple Bromelain 500mg is rated 4.0 out of 5 by 7. Rated 1 out of 5 by Jajamoules from Very disappointed I’ve been buying this product for years. When it arrived they were not chewables. When I called to return them what they wanted to charge me for shipping it them back it was cheaper to just throw them away. I will no longer buy anything else from Vitamin World again. Rated 5 out of 5 by Anonymous from great product and it came thru for me again Love the product and my experince in the store with VW personnel was great. Online though, I am wondering if I really need to receive multiple emails every other day? Not being stinky, just thought you'd appreciate the feedback. Rated 5 out of 5 by MBVH from See results in a short time. We had never heard of this before. A friend recommend it and my husband had been taking it. Hard to find it in some stores. Rated 5 out of 5 by Cecile45 from I think this helps with digestion I find taking this product helps with digestion. I feel better. Rated 3 out of 5 by StoryMan from It is not what it used to be I started on Pineapple Bromelain 17 years ago.. 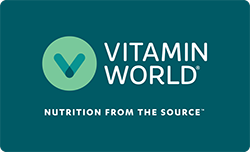 I settled on Vitamin world because it was the the most consistent formulation I could find at the time. Back then it was 500 mg. and 600 GDU. The capsules have gotten larger and the GDU is now only 300. I can notice the difference but I am not sure of why it is different.